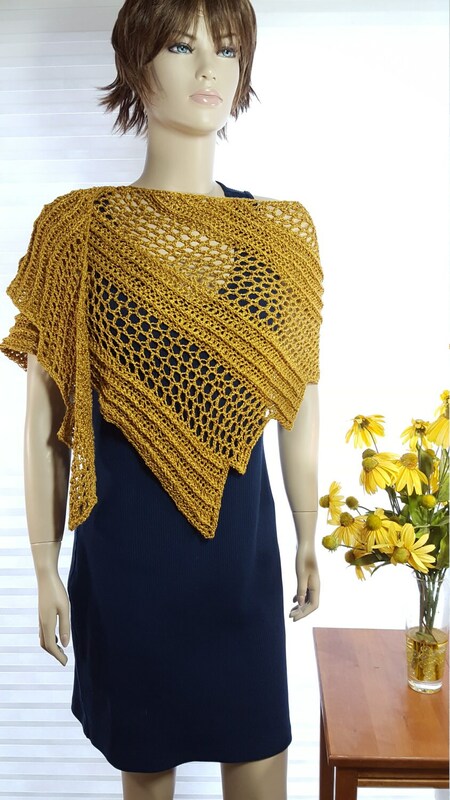 This is a lovely crochet shawl, ruana, wrap or scarf in a rich gold colored yarn. 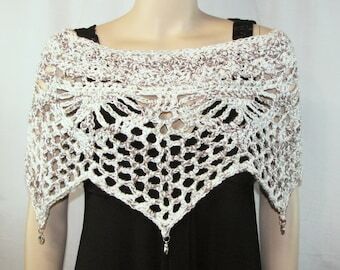 It's crocheted in a dragon wing shape, which gives you lots of options for wearing it. See the last photo (of the ivory version) to view the whole dragon wing design. 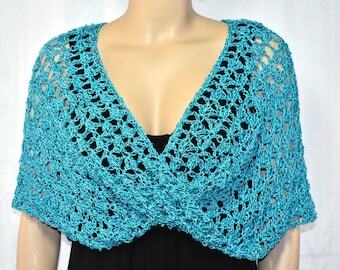 This shawl is made of silky rayon yarn and drapes beautifully. It can be tied, clipped or pinned to help it stay the way you want it. The shawl fits small to medium sizes when worn as a shawl and will fit any size when used as a scarf. 45 inches long at tallest end. 5 inches long at shortest end. 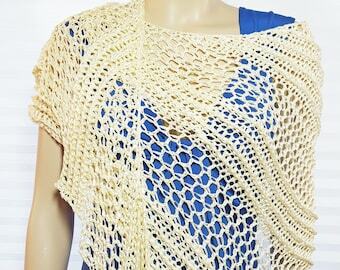 While I always recommend hand washing crochet items, this shawl could be freshened up in dryer bag on low heat using Dryell or a similar product. See my other listings for alternate colors and sizes, or click on the custom order button on the home page of my shop to request a special color or size.